This year, all players had to register for an IPIN with ITF in order to play in the tournament which was held April 11-20. Players who missed the dead-line got a wild card to participate. 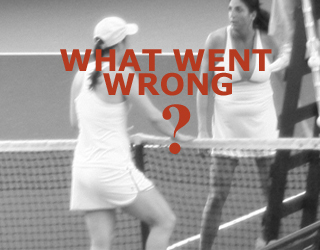 From the beginning, players were confused and frustrated by the registration process for membership in the ITF. Many were confused with the purpose and expense of another tier being added without any consultation with Tennis BC members. Most were frustrated with trying to gain access to information regarding playing dates, opponent information, draw set up, consolation format and host details. A bit of preparation in advance and a lot of communication with the players could have eliminated the frustration and confusion. There appeared to be plenty of time. Today marks the 10th Anniversary of our coverage. Let us take you back in time. Click on each photo and enjoy!